In this hilarious conversation, originally published in the short-lived ECHO Magazine in 1960, Salvador Dalí tries to teach Irish-born actor Edward Mulhare how to articulate English words in a more Dalían way. When this clip was recorded, Mulhare had already spent three years playing the role of Professor Higgins in the Broadway version of My Fair Lady. And as you'll recall, it was Higgins' job to teach Eliza Doolittle, a Cockney flower girl, to speak as a proper English lady. 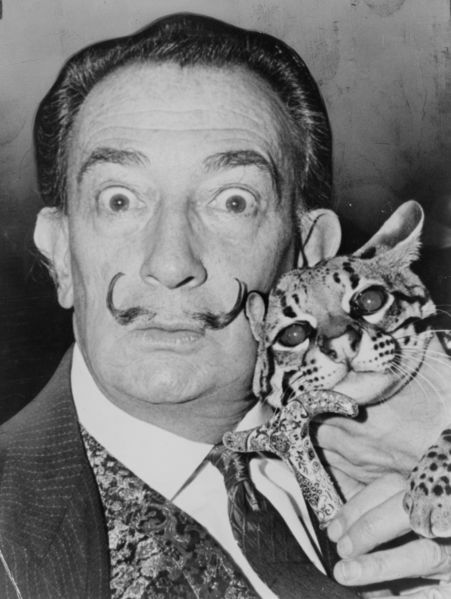 How successfully does Dali manage to put some surrealist cool into this rather conservative Englishman? You can listen here to find out. And don't forget to catch Salvador Dalí's classic appearance on What's my line?